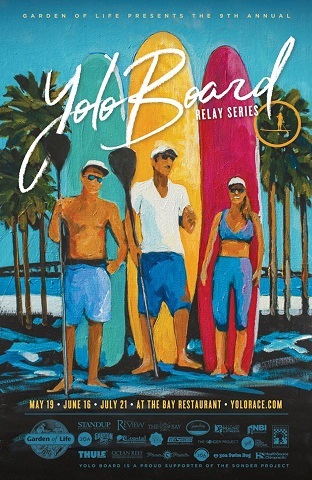 For the past two years NBI Properties, Inc. has proudly sponsored the annual Yolo Board® Relay Series in Santa Rosa Beach, FL. Racers of all ages and skill levels come together each summer in a friendly competition for the chance to take home the championship title. Yolo Board® is a stand up paddle (SUP) Board Company founded on the motto, “You Only Live Once” (YOLO). This way of life has quickly spread throughout Northwest Florida’s Gulf Coast communities, proving to be the fastest growing watersport and recreational activity of its kind! Yolo Board® was born in Santa Rosa Beach, FL in 2007 and has grown into an ever-expanding family of Yolo Board rentals and retail ambassadors both nationally and internationally. Using their client-centered approach, NBI Properties, Inc. was ready to serve their expansion needs and leased a prime commercial retail space in Miramar Beach, FL which still serves as the headquarters for Yolo Board® today. Located just steps away from the beautiful white sand beaches and emerald waters NBI Properties, Inc. had once again matched the right tenant to the right opportunity, and the relationship between Yolo Board® and NBI Properties, Inc. has continued to grow ever since. More than just tenant and landlord, NBI Properties, Inc. quickly took hold of the Yolo Board® way of life focusing on building community, encouraging discovery, and fostering well-being. Yolo Board® has since purchased their Miramar Beach location from NBI Properties, Inc. along with two other locations in Santa Rosa Beach and Gulf Place. Since the birth of Yolo Board®, the company has grown into a full-scope lifestyle brand. NBI Properties, Inc. has sponsored the Yolo Board® Relay Series event for the past two years, and will continue to support this fun filled family event for years to come!